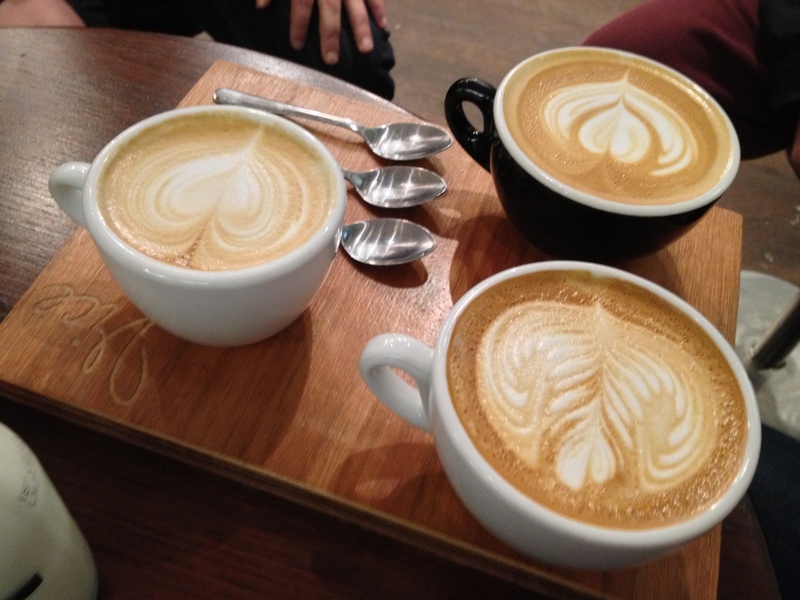 pololaighinblog | Designing a blog on coffee for the Dublin city region. Designing a blog on coffee for the Dublin city region. Design Aspects and final results for blog. I started out with an idea to do a blog on cafe’s in dublin. I had plenty of experience of tasting and evaluating coffee in dublin city and felt that I should share my experience’s with the public. I had a lot of decisions to make on what would go in to the pages. Allthough some initial ideas were discarded the overall plan was followed. We use wireframe pages to relate the pages to the HTML and CSS coding. I started looking at adobe kuler for a color scheme that would suit the Blog. It did’nt take long to choose a color scheme that related to the theme. Choosing images was another challenge as resizing and positioning were difficult. Adding a repeated image to the blog was’nt too dificult but blending the coffee beans together was a new skill I aquired in photoshop with the clone stamp tool. As we started coding with HTML 5 I had to learn new markup tags and tweak other tags such as meta tags. I was challenged doing the coding and linking it to the CSS sometimes left me confused. It took a lot of fiddling to sort out the middle section and footer icons. I included coding for a counter but later took out this outdated coding. I came across a font last year and liked its style and decided to use it as the main font. It is called great vibes and is san-serif family. I searched the web and found a free image of dublin bay and used this as my main image in my header. I also downloaded an image of a coffee cup. I altered this in photoshop and added a symbol/text.